Over the past few weeks, two outstanding staff members from the Jackson Public School District were recognized for their leadership and commitment to education. Last week, Jim Hill High School held a school-wide assembly for a surprise announcement for one of their teachers. 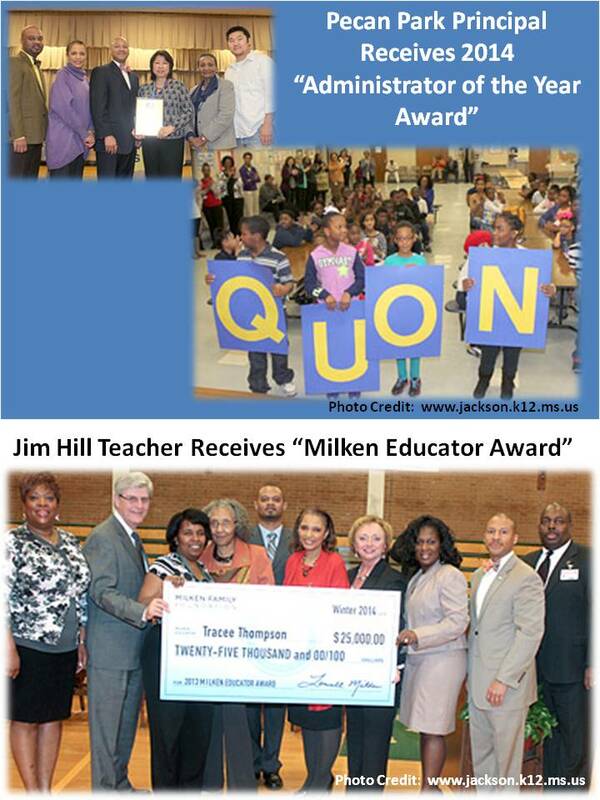 Tracee Thompson, an English teacher at Jim Hill, was honored with the 2014 Milken Educator Award. Along with the award, she received a check for $25,000 to spend at will. The prestigious Milken award recognizes K-12 educators for teaching excellence. Only 100 teachers nationwide receive the award each year. The selection process is secret and honorees are selected by state education departments based on educational talent, contributions to the profession, potential for leadership, and other factors.